Instructions-for-use (IFU) communications are necessary regulatory requirements but are not always patient friendly. Understanding how to properly administer Benepali, the first etanercept biosimilar referencing Enbrel®, used to treat moderate to severe rheumatoid arthritis, psoriatic arthritis, non-radiographic axial spondyloarthritis, and plaque psoriasis, is an important part of a patient’s treatment plan. We were asked to create a patient-friendly IFU video and quick reference guide for the EU market that clearly communicates to patients how to administer Benepali with an autoinjector pen. The Benepali IFU video was created to engage patients with step-by-step instructions for administering Benepali with an autoinjector pen. A quick reference guide provided additional support for offline use and convenience. Content was strategically developed to be patient friendly by making information succinct, easy to comprehend, and enhanced with infographics and imagery. 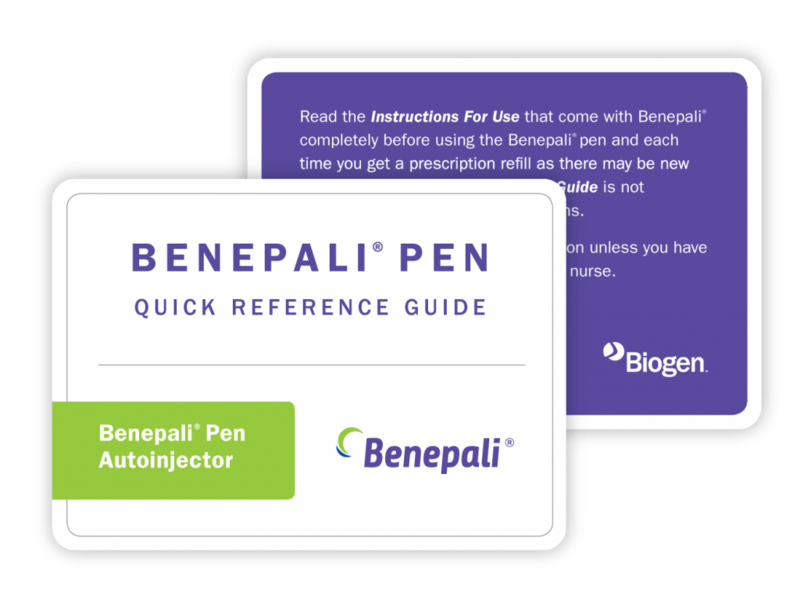 Both the video and quick reference guide were distributed in Benepali patient welcome kits and translated in multiple languages, including English, Dutch, and German. We are committed to creating solutions that help patients achieve adherence by making important information easier to understand. The Benepali IFU patient video demonstrates each step of the administration process while reinforcing key information with captions and infographics. The Benepali IFU quick reference guide provides a helpful visual aid to guide patients through each critical step of the self-administration process. Need help creating patient-friendly communications?